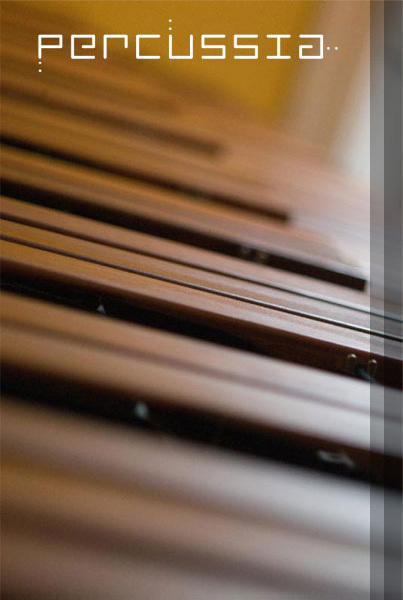 Percussia's signature sound is created through the marriage of lyrical melodic instruments (flute, viola, and harp) with a variety of percussion instruments. Percussia is based in New York City's vibrant, culturally diverse neighborhood of Jackson Heights, Queens. Percussia's members seek to honor and reflect this cultural richness through the music they play. While rooted in the modern classical tradition, Percussia's style incorporates a wide variety of influences, from world music to elements of pop culture. Their one-of-a-kind body of work includes numerous world-premiere commissions, as well as original arrangements by the group's members. Percussia's repertoire is sophisticated enough to delight seasoned chamber-music lovers, yet accessible enough to appeal to nontraditional audiences. Percussia has performed in community-based settings--libraries, churches, museums, and laundromats--and at more traditional chamber-music settings, such as the DiMenna Center for Classical Music, Drew University, and St. John's University. Percussia's members are Ingrid Gordon (artistic director and percussion), Susan Jolles (harp), Margaret Lancaster (flute), Lev "Ljova" Zhurbin (viola) and Frank Cassara (percussion). Percussia occasionally collaborates with guest musicians to expand their sound. Past guest artists include Nurit Pacht (violin), Barbara Podgurski (piano), James Myers (piano), Pascal Archer (clarinet), Anna Urrey (flute), Karen Ritscher (viola), Melissa Fogarty (soprano) and percussionists Bill Ruyle, Mike Lunoe, and John Ostrowski.